Projects — HI! I'm Tara. Getting to work on awesome projects with awesome people = why I loved school so much! Conducted a research study & behavior design project that aimed to tackle the problem of employee health in work environments. The study focused on harnessing stress, emotional well being, & productivity during team meetings. Through the project, we created a app prototype that engaged team members during the beginning of the meeting and ultimately resulted in a healthier and more engaged work style. Worked under the guidance of Neema Moraveji & Pablo Paredes at the Stanford d.school & Calming Tech Lab. Team: Maria Frank & Lawrence Rogers. Role: Product Manager/Team Leader. Worked with Yelp to design & pitch a loyalty program to increase daily user engagement for Yelp users. Combined empathy & customer research strategies with proven gamification & rewards mechanics to design a two-fold loyalty program. 1. An overall points system, Yelper Points, and 2. a flash deals mechanism, the Yelp Secret Menu. Created a proposal & go-to-market plan for an SF nightlife venue unlike any other - one that provides an uncompromising experience without alcohol. Speakeasy's mission is to create exceptional healthy experiences that support and uplift all the crazy and incredible lives of San Francisco & the Bay Area’s game changers. Worked under guidance of Tom Kosnik & Lynda Smith. Team: Vikram Ramakrishnan, Robert Kaarberg, Nikos Theodorou, Kaveh Mirassadollahi. Role: Project Lead/Product Manager. Proposed & designed a psychology experiment to extend Roy Baumeister's Ego Depletion theory. Tested whether exercise could function as a tool for recovery & restoration of the executive function of the self. The objective was to better understand the sociological and psychological implications of having better physical health. Specifically, can better health lead to better social interactions, more human agency, increased self-control, responsible decision making & active choice, via ego restoration? Worked under guidance of Robb Willer. Conduced a research study and design project aimed at managing stress and creating cohesion in distributed work teams. From research and user studies, we created Hey, Thanks!, an app prototype to share gratitude in the workplace. Presentation. Worked under the guidance of Neema Moraveji & Pablo Paredes at the Stanford d.school & Calming Tech Lab. Team: Maria Frank. Role: Product Manager/Team Leader. Design proposal for motivating passion & skill mastery over grades & degrees within higher education systems in the year 2020. Traveled coast-to-coast & interviewed everyone from Stanford students to financial banks to startups to the brave man in Times Square who is dressed as the Statue of Liberty. Utilized IDEO's design thinking to ultimately create a PassionEngine - crowdsourced funding from peers to support and motivate activities beyond traditional grades & classes. Worked under guidance of David Kelley, Scott Doorley, Sarah Stein Greenberg at the Stanford d.school. Special thanks for support & funding from John Hennessy. Team: Ivy Guo, Robert Ruhlandt. Wrote a Processing Script to viscerally capture the rate of plastic surgery occurrences in America. 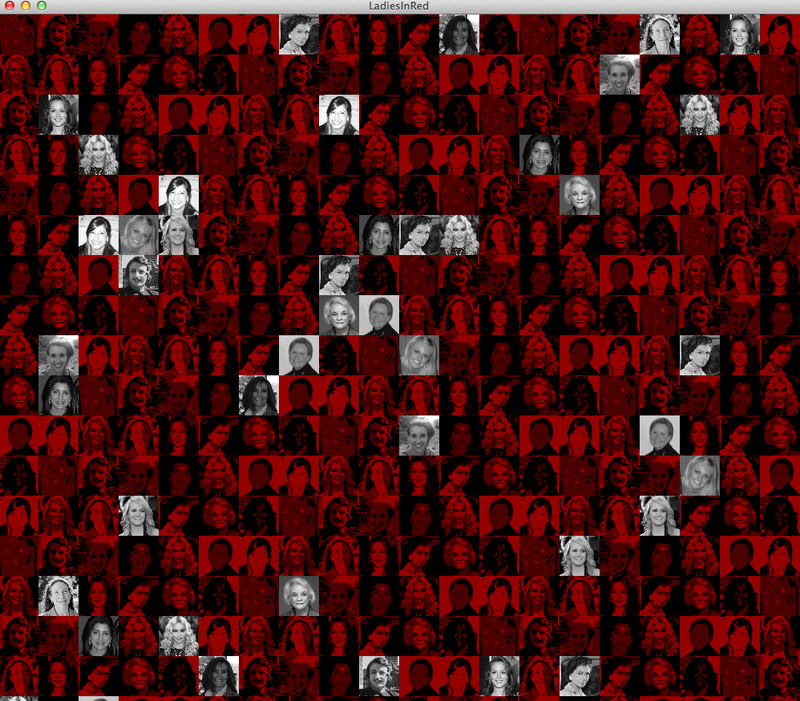 Each lady turning red represents a women undergoing plastic surgery in America based on the number of plastic surgeries per year. The photos are of ladies I admire: my mother, my second mother (my best friend's mother), a few of my closest friends, a teacher from undergrad, a teacher from middle school, Ayn Rand, Carrie Underwood, & Coco Chanel. Was a piece of a larger American Beauty art collection in 2012. Worked under the guidance of Gail Wight. Launched a marketing campaign for Wharton Undergrad centered around a "Day in The Life" of a Wharton student. Completely overhauled the school's branding - from the website to campus tours to information sessions to the admitted students weekend. Launched a YouTube channel for prospective students to learn more about life at Wharton. Worked under guidance of Wharton's Vice Dean, Georgette Chapman Phillips, & Celia Cameron. 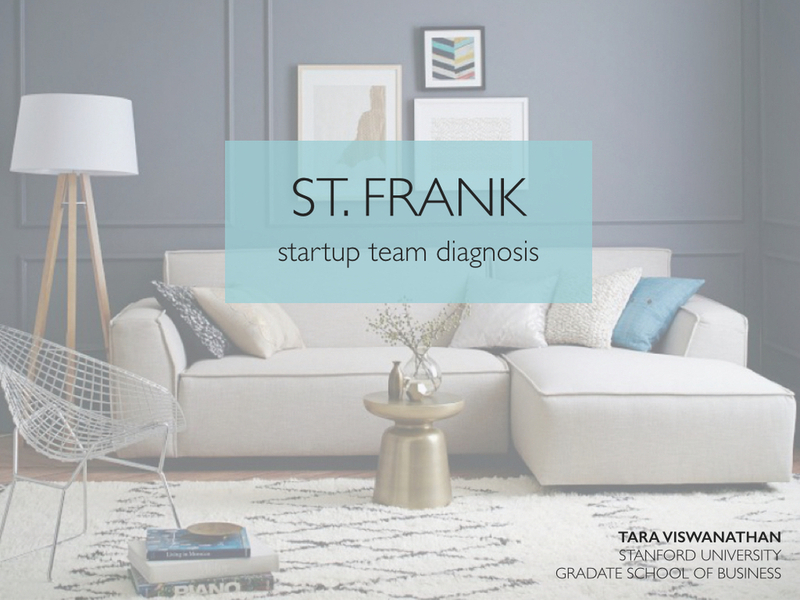 Advised ethical home goods company, St. Frank, on the dynamics of their team's inputs, processes, & outputs. Provided tactical recommendations on how to reach EOY goals & strategies for growth, hiring, & onboarding. Conducted an intensive four patient case study on patents with chronic illnesses. Utilized IDEO's design thinking & B.J. Fogg's model for behavior change to generate detailed user studies. Worked alongside patients to create personalized plans for sustainable lifestyle change. Reported studies to Stanford School of Medicine geriatrics physicians. Presentation. Worked under guidance of Dennis Boyle, B.J. Fogg, Lia Siebert at the Stanford d.school. Team: Neil Devani, Kristen Leach, Diane Wu. Partnered with Nike lead designer, Jason Mayden, to design & pitch the ultimate retail experience for the Air Jordan brand. Reassessed the iconic brand, redefined the target customer, and tailored the experience to fit that reality. Focused on surprise & delight principles for target consumer personas we developed along with recommendations for tech implementations & specific experiential designs. Received advice & integrated lessons from James Freeman, Guy Kawasaki, Dave Morin, & Tony Hsieh throughout the project. Worked under guidance of Jennifer Aaker. Team: Charles Atkins, San Baek, Laura Eng, Nick Palefsky, Karl Skare. MeterMe’s goal is to bring efficient energy incentives down to an individual level. In doing this, MeterMe allows universities to capture large reductions from small individual contributions, pioneering a B2C sustainability model that no other entity is currently commissioning in the present market of higher education. Developed business model and created business plan including market analysis, go to market plan, & financial feasibility for the proposed company. Paper. Worked under guidance of Eric Clemons. Team: Mehdi Charfi, Constance De Nazelle, Michelle Lu, Irfanali Manji, David Pankiewicz, Blake Stove, Julie Young. Role: Project Manager/Team Leader. Research & design project on understanding how the higher education will be best suited for the changing education landscape within a world of MOOCs, free and accessible education, and the importance of learning beyond the classroom. Was accepted into Stanford University's first formal & funded initiative digging deep into the future of higher education. Video. Worked under guidance of David Kelley, Scott Doorley, Sarah Stein Greenberg at the Stanford d.school. Special thanks for support & funding from John Hennessy. Team: Eric Smalls. Conducted intensive consumer research on Victoria's Secret's brand, including retail observation & customer interviews. Created brand personas & developed theory on how the mega-brand retains customers throughout their lives. Worked under guidance of Jennifer Aaker. Ideated, designed, and developed go-to-market plan for a UV light powered kitchen sponge sterilization appliance. Tested mechanical engineering feasibility, created CAD sketches, and received quotes from parts suppliers & manufacturers. Presentation. Paper. Worked under guidance of Mark Theeuwes. Team: Marcus Busby, Ben Garcia, Chinmay Nivargi. Role: Project Manager, Lead. This is just a small part of why I love life. Check out a quick life overview, what I do for fun, or just learn a bit more about me.